Relatives of six disabled people who died due to Department for Work and Pensions (DWP) failings have backed a new petition to MPs that calls for an independent inquiry into deaths linked to the department’s actions. The petition – backed by four leading grassroots groups of disabled activists, and Disability News Service (DNS) – says such an inquiry should also investigate potential misconduct by ministers and civil servants. The petition* – Justice for Jodey Whiting. Independent inquiry into deaths linked to the DWP– brands DWP “institutionally disablist and not fit for purpose”. And it calls on DWP to “urgently change its policies and administration of social security benefits to make the safety of all claimants a priority”. The petition has been set up on parliament’s petitions website. If it reaches 100,000 signatures, it will be considered for debate by MPs in the House of Commons. The petition was launched following the death of Jodey Whiting (pictured) and is set up in her name, with the backing of Black Triangle, Disabled People Against Cuts (DPAC), Mental Health Resistance Network (MHRN), WOWcampaign and DNS. DWP failed five times to follow its own safeguarding rules in the weeks leading up to Jodey Whiting’s suicide in February 2017, an independent investigation found last month. She had had her out-of-work disability benefits stopped for missing a work capability assessment (WCA) and took her own life just 15 days later. The Independent Case Examiner (ICE) concluded that DWP was guilty of “multiple” and “significant” failings in handling her case. Her case was mentioned in this week’s prime minister’s questions, after a question from her mother’s MP, Dr Paul Williams. Her mother, Joy Dove, is supporting the petition. She said she hoped the ICE findings would “open the floodgates for everyone to stand up and get this issue sorted through parliament”. Relatives of other families who have lost loved ones as a result of DWP failings are also backing the petition. Peter Carré, whose son Stephen took his own life in January 2010 after being found fit for work following a WCA – with DWP failing to ask his GP or psychiatrist for further medical evidence that would have proved his eligibility – has backed the petition and the need for a criminal investigation and an independent inquiry. His son’s death led to a coroner writing to DWP, just before the 2010 general election, warning that the “trigger” for Stephen’s decision to take his own life had been the decision to find him fit for work, and telling DWP to take action to prevent any further such deaths. The coroner called for a review by DWP of “the decision not to seek medical advice from the claimant’s own GP or psychiatrist” if they have a mental health condition. Tory ministers failed to act on the coroner’s letter – or to produce a proper reply, despite their legal duty to do so – and instead pushed ahead with plans to reassess hundreds of thousands of people on old-style incapacity benefit through the WCA. Research would later show that this use of the WCA to reassess claimants of incapacity benefit was “associated with” hundreds of suicides. Eleanor Donnachie, who herself has experienced suicidal thoughts and tried to take her own life as a result of the WCA process, lost her brother Paul to suicide after his employment and support allowance was removed because he failed to turn up for a WCA. It is believed that DWP failed to contact Paul’s GP to ask for detailed information about his mental health, and – as in Jodey Whiting’s case – ignored its own safeguarding guidance by failing to talk to him face-to-face about his support needs. She said she wanted to see a criminal investigation and an inquiry. She said: “It’s as if they can do what they like and nothing applies to them. Jill Gant, whose son Mark Wood starved to death after he was found “fit for work” and lost his out-of-work disability benefits, said she felt she had to support the petition. Her key concern is DWP’s refusal to ensure that its decision-makers have access to the necessary medical evidence when someone applying for ESA (or universal credit) has not provided evidence of their own. She told DNS: “I’m glad you’re doing it on behalf of people like Mark. Another relative, David Barr, said he wanted to see former work and pensions ministers Iain Duncan Smith and Chris Grayling held accountable for the death of his son, also called David, who had a long-standing mental health condition. He took his own life in August 2013 after a physiotherapist took just 35 minutes to carry out a face-to-face assessment that led to him being found fit for work. It is believed that neither the assessor, nor the DWP decision-maker who rubber-stamped that decision, made any attempt to secure further medical evidence from his GP, his psychiatric nurse or his psychiatrist. A sixth relative supporting the petition is Gill Thompson. Her brother, David Clapson, died in July 2013 as a result of an acute lack of insulin, three weeks after having his jobseeker’s allowance sanctioned. Because he had no money, he couldn’t afford to pay for electricity that would have kept the fridge where he kept his insulin working, in the height of summer, and he had also run out of food. She said: “They have to stop this. I would like to see a legal case whether David’s name was mentioned or not. “They have to be held accountable. I can’t change what has happened to me, but this should not be happening. John McArdle, co-founder of Black Triangle, said he and fellow campaigners “did our utmost” to persuade the criminal justice system in Scotland to open an investigation into work and pensions ministers but had been given no reason for its refusal to do so. He said: “It’s clear that the dereliction of duty on the part of ministers is still leading to the deaths of claimants, as we said at the time. “Until this matter is addressed, people will continue to suffer catastrophic avoidable harm. Bob Ellard, a member of DPAC’s national steering group, said: “DPAC fully supports this petition. We believe that these are vital issues that must be debated in parliament. Denise McKenna, co-founder of MHRN, said: “Survivors of the DWP are acutely aware that some lives do not matter and some institutions are deemed to be above accountability. “Ministers and civil servants responsible for the DWP have known for years that their practices are implicated in numerous deaths yet they continue with the same practices, seemingly safe in the knowledge that they can get away with any level of cruelty and incompetence. 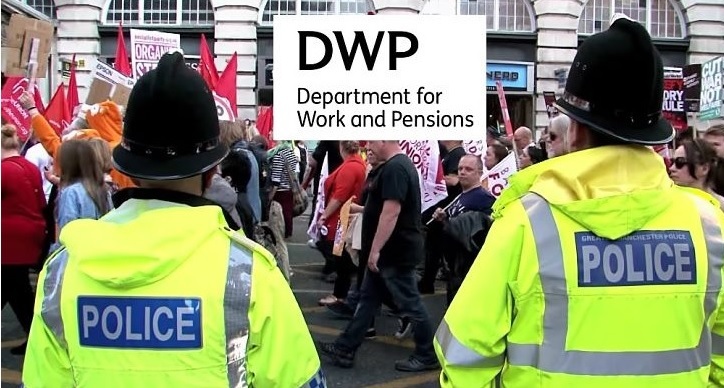 “The deaths will only stop if there is rigorous implementation of safeguarding practices which the DWP has shown time and again that it cannot be trusted to put in place or to observe. A WOWcampaign spokesperson said: “WOWcampaign has been fighting for seven years to get this government to show a duty of care to disabled children and adults in the UK by assessing the impact of all disability cuts, as called for by the Equality and Human Rights Commission and the UN. “We are keen to support this petition demanding justice for Jodey Whiting as her treatment and the many voices giving testimony to the despair, poverty and humiliation caused by government welfare reforms, published on WOWvoices.uk, reinforce the devastating impact of these policies, and the urgent need for something to change. “We would like to see an independent enquiry into the effect of government welfare policy and a police enquiry into alleged misconduct in public office. This entry was posted in Uncategorized and tagged benefit, clapson, david, deaths, DWP. Bookmark the permalink.